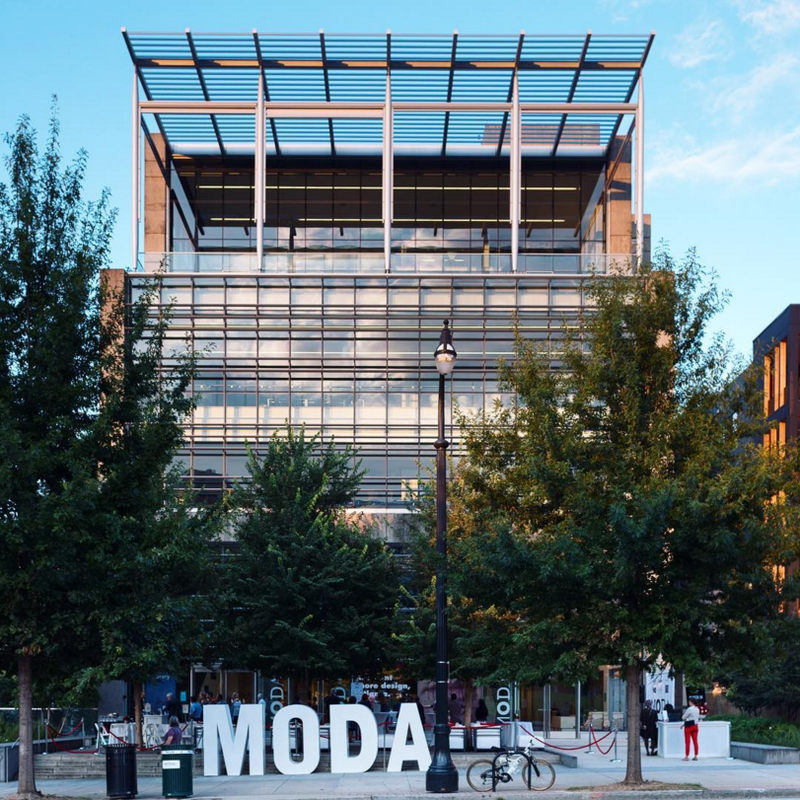 Join us MODA and the Peachtree Branch of the Atlanta-Fulton Public Library System on Wednesday, June 20 for a talk about the background, history, programming and future of the Museum of Design Atlanta (MODA). MODA's Director of Development, Aimee Chan-Lindquist, will give a brief presentation about the museum in the library's event space, then attendees will be invited downstairs for a visit to MODA's exhibition, Making Change: The Art and Craft of Activism. Wine and cheese provided by The Friends of the Peachtree Library. This program is open to the public. No tickets/reservations are necessary. Citizens needing reasonable accommodations due to a disability, including communications in an alternate format, please contact your local Atlanta-Fulton Public Library System location in person or by telephone (TTY-711). More on Laura Flusche, Ph.D.
Laura has been a member of the MODA staff since 2010. Prior to joining MODA, Laura lived in Rome, Italy for fifteen years, where she was assistant academic dean of an American academic program; taught art history, archaeology, mythology, and ancient history to undergraduates; and excavated on the east slope of the Palatine Hill, near the Colosseum and the Arch of Constantine.